Guelph ON, January 24, 2018 – Twenty-four southern Ontario companies have received financing to help them expand their operations, access new markets, attract investment and create jobs in the region. The early-stage businesses were granted seed funding from Bioenterprise Corporation and its delivery partner, Innovation Guelph as part of the third round of program delivery. The companies will receive up to $30,000 in non-repayable seed financing, along with coaching and mentorship. They join 65 previous recipients who were selected for first and second rounds of seed funding in 2016 and 2017. “We were so impressed by all the recipients and are excited that this seed funding will help them advance their business objectives. Seed funding and mentorship can play a crucial role in assisting early-stage businesses,” says Dave Smardon, Bioenterprise Corporation President and CEO. The new recipients are expected to use the funding, along with their matching funds, for branding and marketing; prototyping and product piloting; Business-to-Business (B2B) sales, business development, process optimization, and to help advance market opportunities. Round three seed funding recipients are from the Guelph, Hamilton, Middlesex, Niagara, Perth, Toronto, Wellington and York regions. 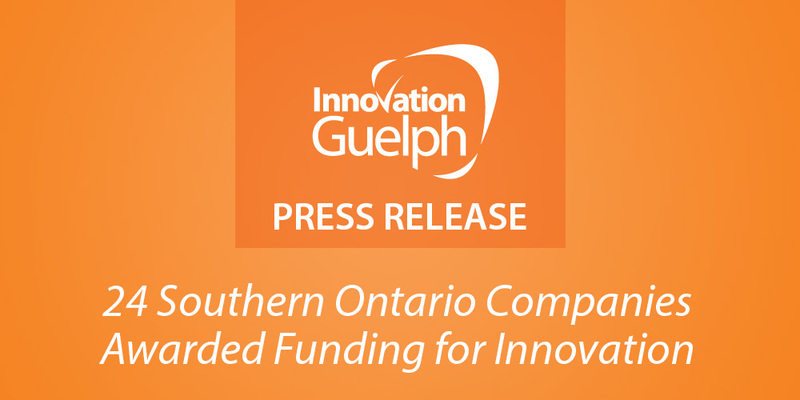 The Government of Canada, through the Federal Economic Development Agency for Southern Ontario (FedDev Ontario), has provided Bioenterprise with up to $4.84 million to deliver the Bioenterprise Seed Fund and Innovation Guelph’s Fuel Injection program. These programs support innovative southern Ontario businesses in the agriculture and agri-food, sustainable and environmental technology, advanced manufacturing and social innovation sectors. At a recent Innovation Showcase, Bioenterprise and Innovation Guelph announced that the 32 recipient companies from the first round of seed funding have raised more than $21 million in follow-on private investment, generated more than $6 million in revenues, created more than 45 jobs, and launched more than 50 products, processes, and technologies. “The Government of Canada is proud to support long-term economic growth through these types of initiatives. We believe it is to everyone’s benefit when innovative Canadian businesses are able to grow and create quality jobs,” said Lloyd Longfield, Member of Parliament for Guelph, on behalf of the Honourable Navdeep Bains, Minister of Innovation, Science and Economic Development and Minister responsible for FedDev Ontario.